So! I accomplished my goal of spinning every day, and got quite a bit done. 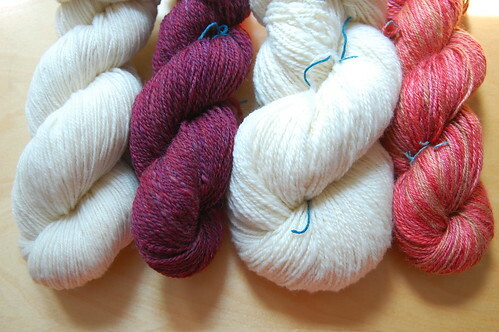 These four skeins are the only ones I spun in their entirety during the Tour – I also plied some silver merino/silk and spun and plied the rest of some tussah silk. So how about some glamour shots and stats? 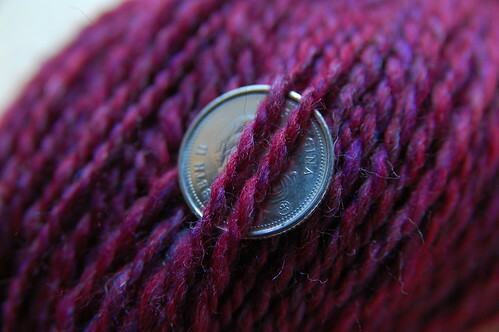 Ashland Bay Merino Silk in Cranberry – 300 yards/100g of 2ply, worsted weight. Spirit Trail silk/camel – 320 yds/4oz of 3ply (chain ply), DK weight. 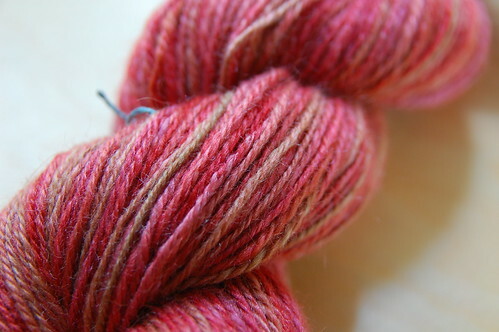 Foxfire 95% cormo, 5% silk – 350 yds/4oz of 2ply, sport weight. 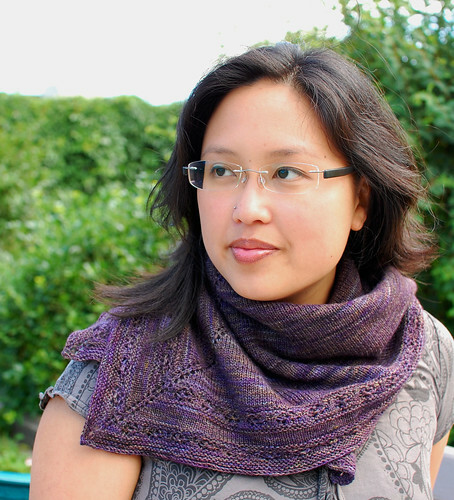 and one that I snuck in the last few days of the Tour – a skein of 100% cormo that I am absolutely in love with! 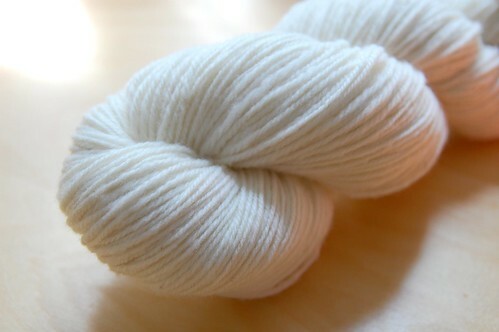 100% cormo, 300 yds/100g of 3ply (chain ply), sport weight. 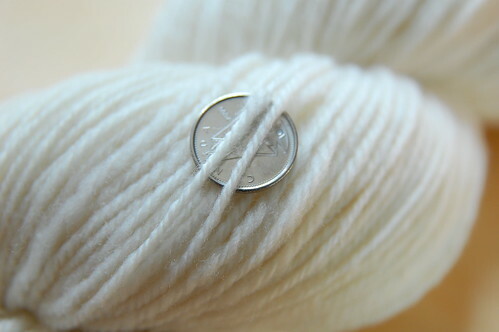 I’m not sure what my grand total is, because of the aforementioned finishing stuff up that was already on the bobbin. But I do know that I’m feeling really re-inspired to get back to the wheel, and I’ve already started some awesome wool/angora. 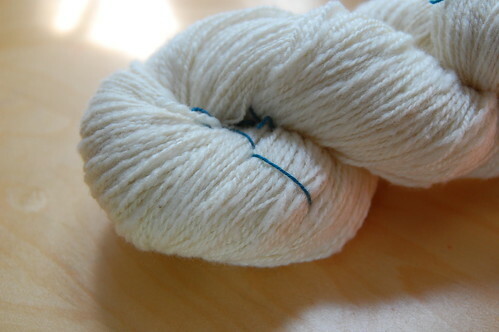 I’m gonna keep spinning down the stash until Rhinebeck! 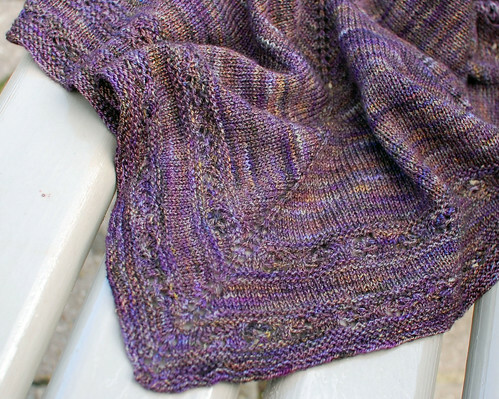 Well, I’m knitting lots, but it isn’t very exciting to look at – mostly working on my cabled scarf (so close to the end!) and I’ve restarted that little shrug too. 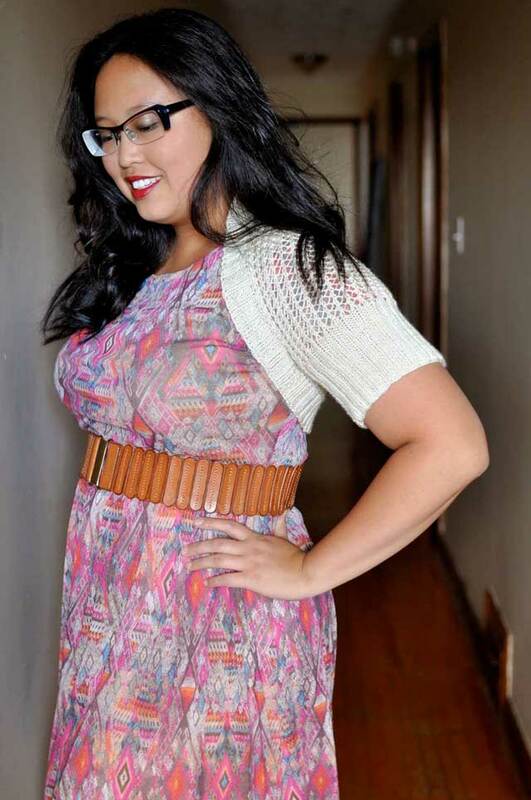 Really I’m just itching to cast on for some new fall sweater projects, but I really need to get a few things done first! So today I have a little bit of food to share, instead. I brought home rather a LOT of pickling cucumbers from the produce stores near my work yesterday, and today set about making some refrigerator pickles. No water processing required, no fear of bad canning, and they stay so very crispy, which I love! I made one huge vat of cucumber garlic dills – it’s 1.8L/2qt! The slightly smaller jar in the back is beans, done up with basically the same spices and brine. They were yellow, green, and purple to start with, but unfortunately now they’re all kind of greeny grey. Oh well, they’ll still taste awesome. Whatever you like. I did sliced kirby cucumbers and trimmed green beans, I’m sure this would be great with carrots, cauliflower, radishes, whatever! 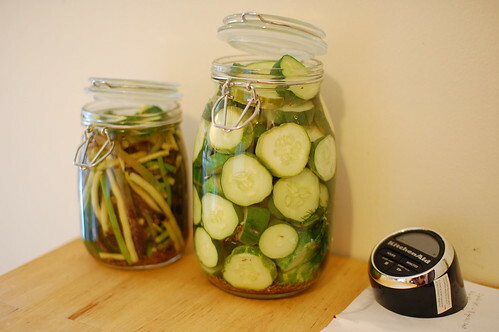 I’m not sure how many cucumbers I used – probably about 10 small ones for the 1.8L jar. Mix together water, vinegar and salt in a largeish pot and heat on the stove to a simmer. 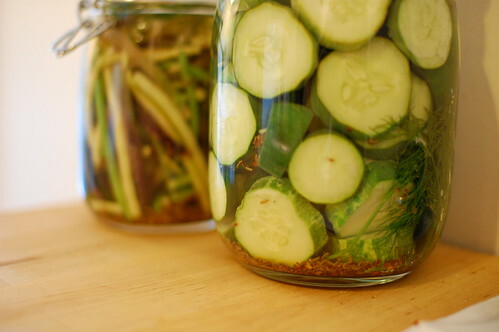 While it’s heating, prep your veggies and add seasonings to your jars. For the 1.8L jar of cucumbers, I used: 4 cloves garlic, 4 tsp dill seed, a dash each of celery seed and red pepper flakes, 3 stalks fresh dill and a few whole black peppercorns. Pack the veggies tightly into the jars leaving some room at the top (1/2″-1″, not as important as when processing because we’re just sticking these in the fridge). Slowly add brine to cover. Let the jars cool on the counter, then stick them in the fridge. That’s it! They’ll begin to taste pickled after just a few hours, but it’s best to wait at least a few days. Wow, that’s a giant jar of pickles! 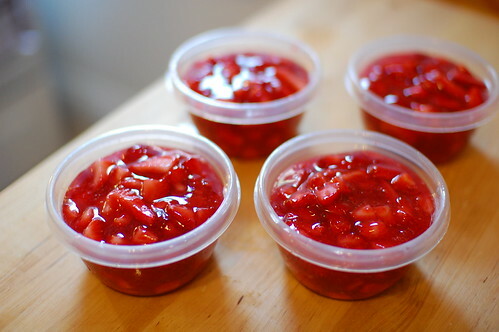 I also managed to find Ontario strawberries at the big chain supermarket, which I was pretty surprised by – I picked up three containers and made jam with half (I might get more tomorrow or soon and make more or ice cream!). I prefer freezer jam because it uses much less sugar, and has that just-picked-fruit taste that you just don’t get with cooked jam. I just followed the recipe on the gelling agent packet and it came out perfectly. I’ll definitely have to make at least 1 more batch of freezer jam soon, maybe wild blueberry! What are you doing with this summer’s awesome produce? 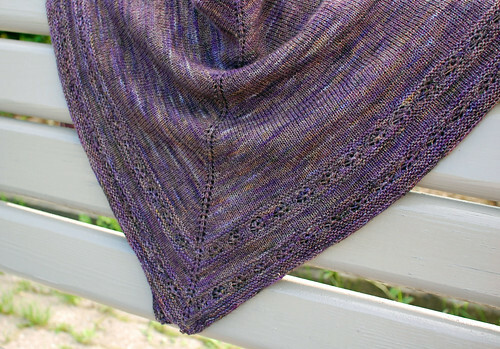 I’ve gotten a few emails about what I’m wearing in my Welcome photo over on the side there, and I’m happy to announce that the Crossfield Shawl pattern is now available! 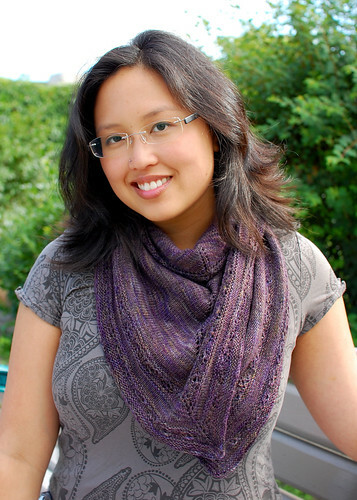 Skills needed: cast on, knit, purl, increase, decrease, optional chart, knitting in the round. Pattern is a 3-page PDF file with full colour photos, written and charted directions for the lace pattern, and abbreviations.